Words cannot begin to properly describe this privately tucked away island paradise alongside the beautiful gin clear waters of the Gulf of Mexico. 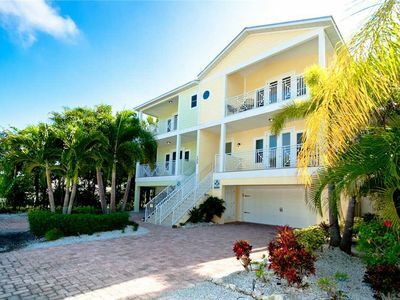 Nestled into the middle of Anna Maria island and located on one of the largest privately owned stretches of Holmes Beach, 'The Tiki', which sleeps 8, is arguably one of the most elite and unique beachfront homes on the island. 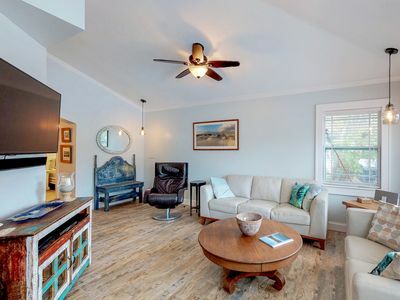 This one story ground level 1930s beach bungalow, has been carefully and meticulously renovated over the last several years. 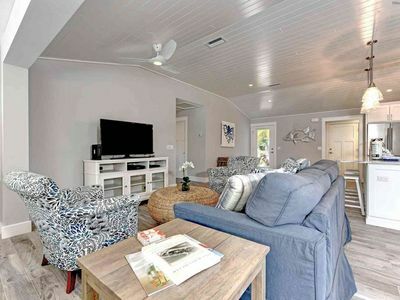 The home's original exterior cottage design has remained true to the heart of the home while the interior has been entirely renovated and upgraded with the finest amenities. 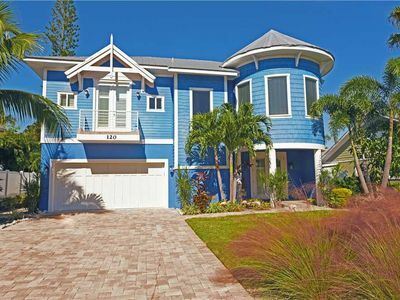 The gardens and landscaping have been upgraded to include the most beautiful lush tropical foliage and has been featured in 2016 Anna Maria Island's Tour of Homes. The oolitic limestone stones create beautiful archways and accent the walkways of this expansive beach paradise. From the moment you step through the front door you are struck with the impressive sight of the blue waters of the Gulf, the sugar white sand of Holmes Beach, and your own private 'Tiki' bars perched upon the sand. The entry opens up into the home's great room, which is an open living space consisting of living room and kitchen and dining with massive steel table seating 8. This chef's kitchen is equipped with top-of-the-line appliances and kitchenware including a massive refrigerator and freezer combination, double stove/ovens, and dishwasher. 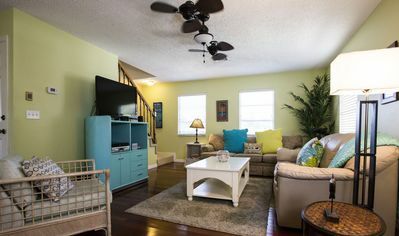 The home has even used to film several shows including cooking shows, as well as photo shoots for publications. 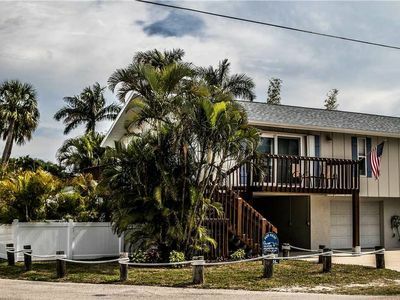 The living room has a sectional sofa, wine cooler and bar area, beverage fridge and ice machine, large screen tv, dvd player, and expansive sliding windows along the entire back of the home to enjoy pristine beach views at all times. The home also features an impressive sound system in which music can be played inside any room of the home as well as outside at the 'Tiki Bar' from your phone or tablet. 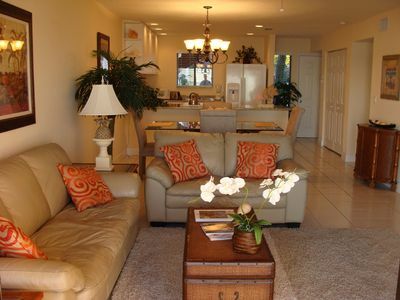 The home is equipped with HD smart televisions, cable, and wifi throughout. From the great room, you enter the master suite which boasts a full walk in closet, television, and en suite bathroom with soak in tub and impressive steam and aromatherapy shower. Use the barn door in the great room to access the 'kid's room' with bunk beds and a trundle (sleeps 3) designed to be as cheerful and charming as the kid's staying there. The third bedroom features a king bed and television with a walk in closet, while the 4th bedroom has a queen bed and television. There is also an in home washer and dryer. The second bathroom features an enormous and gorgeously tiled walk in shower with multiple shower heads. 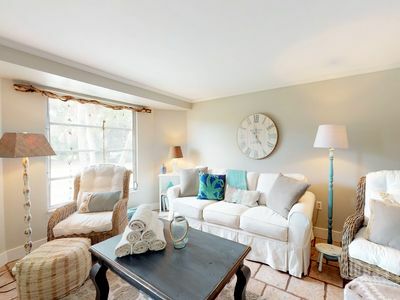 The decor throughout the home is designed to immerse you in that coastal beach feel. 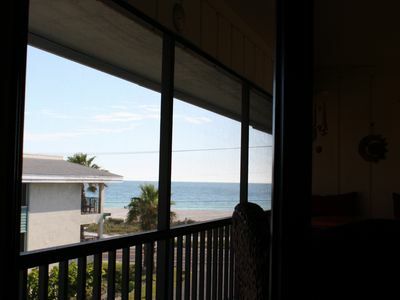 Once you've toured the home, you immediately will want to step outside onto your own private beach paradise. 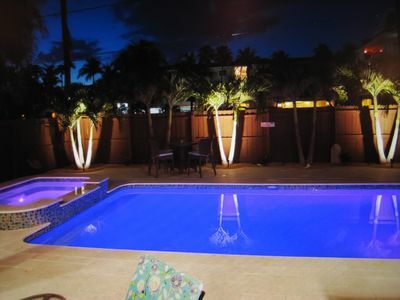 The home's main feature, it's one-of-a-kind 'Tiki', is an enormous tiki bar unique to the home. 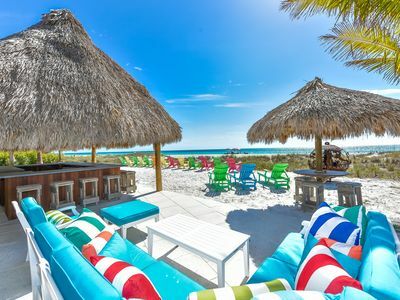 These tiki bars are no longer allowed to be built so close to the beach and is truly one of the most unique finds on the island. The main outdoor bar which seats twenty is fully equipped to entertain with electricity, sound system, lights, television, and ice machine. There are two smaller tiki huts which seat four each comfortably. Along the crest where the beach meets the sea grass, sits a line of colorful adirondack chairs which make this home recognizable to anyone who passes by. The chairs invite you in to sit back, relax, and enjoy a cocktail or beverage while taking in all the sights, sounds, and smells of the gulf. 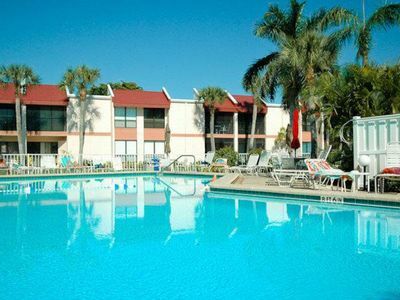 It is literally only a few steps from those chairs to having your toes in the pristine blue waters of the gulf. On those cooler nights, toss a few logs into the one-of-a-kind designed and created 'Fire Ball' beautifully constructed from an old mooring ball. Perfect for settling next to a cozy fire on the beach while enjoying some stargazing and smores! 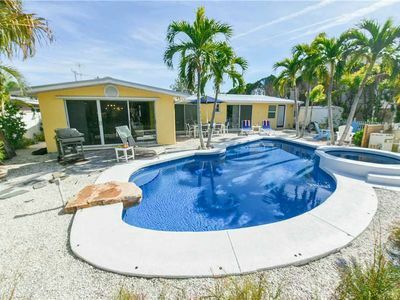 Continue winding along the paths in your beachside backyard to find an impressive year round heated pool (50 foot x 18 foot, 6 foot deep) equipped with lights, fountain and sun deck. 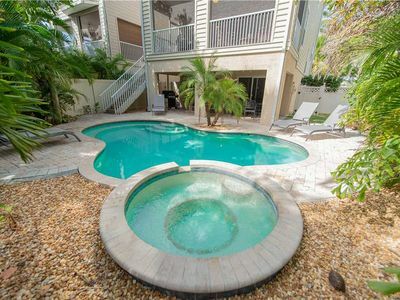 You'll also want to enjoy the temptingly warm soaking tub, which seats 10, perched above and cascading into the pool. 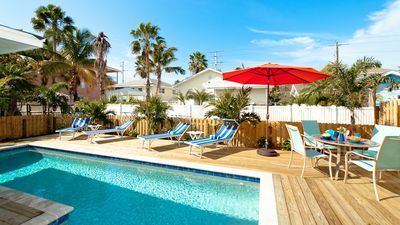 There our patio areas with a grill, tables and chairs for outdoor dining, as well as a outdoor seating, chaise lounges, and a hammock to relax and take a snooze under the shady palms while smelling the salty sea breezes. 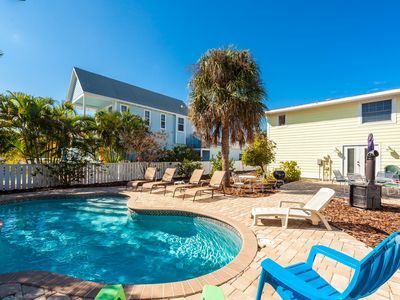 There is also an additional fully enclosed, air conditioned and beautifully decorated outdoor half bath with conch shell sink. This is a perfect must-have for those outdoor beachside gatherings so as not to track sandy feet inside the house! 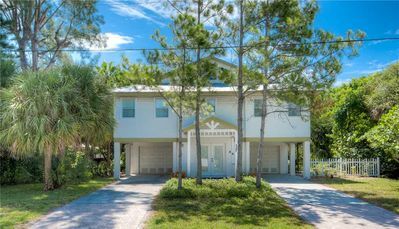 Enjoy this home with a few friends or family or use it as the perfect place to gather and celebrate. Please include this information in your inquiry if interested in renting this home. 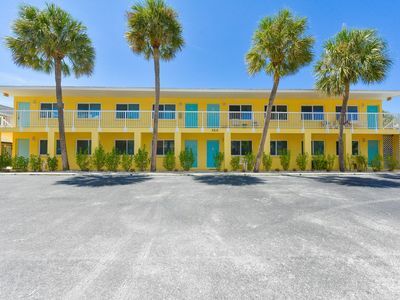 IF YOU ARE NEEDING MORE SPACE... there are 2 additional separate units that sit directly behind this home, sharing the same grounds, and can additionally be booked (pending availability). 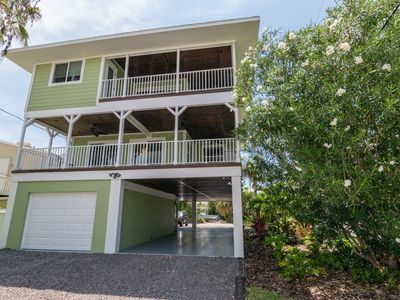 The first floor unit has 2 bedrooms and 1 bath, while the 2nd floor unit has 3 bedrooms and 3 baths. For a potential TOTAL of 9 Bedrooms and 6 1/2 Baths. Please see VRBO listing #s 947237 & 950290. The home can allow for parking of 3-4 cars.